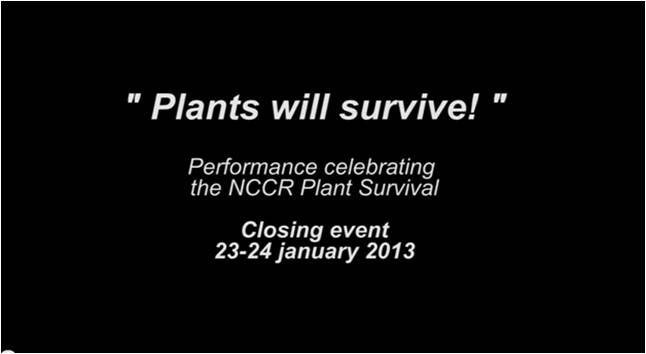 The NCCR Plant Survival is officially over since March 31, 2013 and this site is no longer updated since this date. The photo gallery is displayed on the Facebook page of the University of Neuchâtel. Operating out of the University of Neuchâtel, the National Centre of Competence in Research Plant Survival started its activity on April 1st, 2001 and ran successfully until March 31, 2013. This interdisciplinary network involved most of the universities and 'hautes écoles' in the country, as well as the Agroscope and other research institutions. The projects ranged from essential research on the physiological processes inside the plants to studies on the plants' interactions within natural and agricultural ecosystems. The National Centres of Competence in Research (NCCR) are a research instrument of the Swiss National Science Foundation.